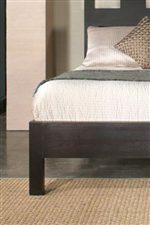 Create a new contemporary look in your bedroom with this five drawer chest. 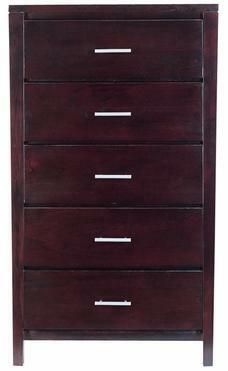 It features five full extension spacious drawers for your clothing items with brushed chrome bar pulls. The drawer boxes are sanded and stained, and feature solid English dovetail joinery. Make use of this functional drawer chest in your bedroom today. The Nevis Five Drawer Chest by Modus International at Michael's Furniture Warehouse in the San Fernando & Los Angeles area. Product availability may vary. Contact us for the most current availability on this product.